But not in the typical sense. Although it's not super noticeable in these pictures, the tile job in the downstairs bathroom is pretty bad. What makes it worse, is there is ugly black grout to highlight the uneven seams shoddy job. Someday that will change. But the worse section by far is the closet. It's lined with broken tiles and a big pile of dried on... um tile glue stuff. Um. Yeah, I'm sure that's the name. Cut me some slack, I'm tired. I didn't snap a good before pick, but there was a a big 1/2" thick mound of sludge, which prevented me from putting anything on the closet floor, thus rendering a large part of one of the two closet we have for storage as useless. So of course, out of the blue one day I started tearing it up. After about an hour or so, I chiseled/screwdrivered up a lot. Then it was down to a mix of scrubbing, chiseling and more scrubbing. But finally! I have closet space again! ...that make a big difference. Any guesses as to what today's post is on? Yep. Door bling. We have 4 exterior doors in this house, and every single doorknob was gross. They were hard to use, worn, poorly painted and in bad shape. And every door in the house had a deadbolt, except the front door, all of which were just as bad. After dragging our feet, and even returning our first set of locks, we bought high quality Schlage locks. I didn't want to pay so much money on just locks, but after looking up reviews, I decided to just pony up. At $50 each, the four knob/deadbolt kits came to about $200, but thankfully we had a 10% coupon we could use which saved us $20. I won't go into detail on how I installed them, as pretty much everyone replaces their locks in when thy move into a new house..... but man, it makes such a huge difference on the feel of our house. I liked these locks not just for the security, but also how easy the deadbolts are to latch and tell that they are latched. They just feel high quality. I'm telling you, we did this upgrade about 5 (!) months ago, and I still think of the change every time I walk in the door. It was so worth the money. I will step through installing a dead bolt, since that wasn't something I had ever done before. Like I mentioned before, for some odd reason our front door was the only door without a deadbolt. I did end up buying a Dewalt door lock kit to install the deadbolt for $30. It was pricy, but almost the same price as buying the bits separately. But this is the good part - it actually sat in our basement for a month waiting for us to pick out locks. While we were picking out the locks in homedeopt for the 3rd time, I saw the same one had been clearanced for $15!! I snatched it up, and on the next trip returned our unopened one from home. This tool was definitely worth $15 (but later in the project I could see why it should be updated). So the first part, I read the instructions and marked the door at the right height. Changed a few settings and it was good to go. I started on the big hole and the bit got pretty hot during drilling, so I let it cool a few times. Then I went to change the drill bit to accommodate the smaller hole saw. It was nearly impossible to take off. We tried many configurations of trying to get that stupid thing apart, but the drilling actually tightened the thing down with each spin. Finally I smartened up and using the biggest socket wrench I had, my husband and I were able to get the stupid hole saw off the black bit undone as illustrated above. Only to find out, there were two connections in the black holder and the small bit just needed one of them. The connector itself also needed to be unscrewed. It was impossible to get that thing off without modification. I really don't think it could have been done. But thanks to some creative thinking, I prevailed! By hand filing two flats on the round part, I was able to use an adjustable wrench on one side and the socket wrench on the other. So after about an hour of fighting with that tool, I could finally drill the second hole into the door and frame. After the hole was drilled, I marked out the plate and started chiseling. Pre-drilling the corners was the way to go. In addition to making some really nice looking faces (22's my favorite), it made the corner nice and smooth when I did it before chiseling (not all of the holes above show where I drilled the hole first). Additionally, if you put a piece of tape on the drill bit to drill to the correct depth, you can use the bottom of the hole as a guide to how deep you need to chisel. I found chiseling across grain first and cleaning up with grain worked best. And that's that! We now have a deadbolt for each of our doors (and excuse all the crappy nighttime photos - it is winter)! Nope, I'm not taking up a new language. That's how Isaac says "bow and arrow". It's way cuter when he says it though. To recap, our son Isaac thinks he's Link and absolutely loves swords. We didn't want to get him yet another "ya" (sword) for Christmas, so we had to think a little outside the box. Isaac has been showing lots of interest in archery lately, (well, like Link) so we were hoping to find a good kid friendly bow and arrow. Unfortunately, most commercial toy boy arrows had really bad reviews... and ones that were slightly better used too 'real' of arrows. I really couldn't find much on Amazon that would be good for a 3 year old. I turned to etsy. There, I saw lots of options: Ones like this, this and this seemed really doable. PVC pipes, cord, foam pipe insulation, dowels, erases. All seemed pretty simple. Of course, I wasn't drawn to the simple ones. :::Hangs Head::: I was worried that the eraser tips would be too hard, the foam they used wouldn't actually protect anything, and that the draw would require too much force for a 3 year old to pull it back. There was one I saw that I liked didn't use the entire pipe. It used just a part of the pipe, which made it look more like a recurve and made it seem more flexible. It also used a connector in the center that you could stick the arrow in (and the arrows didn't have feathers). Lastly, the head was a very solid looking foam ball. The age range seemed better for Isaac. But I stalled, didn't order it, and it came too close to Christmas to order it and get it in time. So, like most Christmas', I procrastinated to the last minute and had to make it. This year was super hectic but I'll spare you the details though. You'll get enough drama in this post regardless. My first attempt went fairly well. I used 1/2" hot/cold PVC tubing and cut down the sides using a flush cut saw. I used some scrap wood under the saw to keep it straight and then when I hit my mark I angled my cut out towards the edge. I drilled some holes, aligned the two sides with eachother and strung it up. I wanted to do some play- testing, so I started working on the arrows. 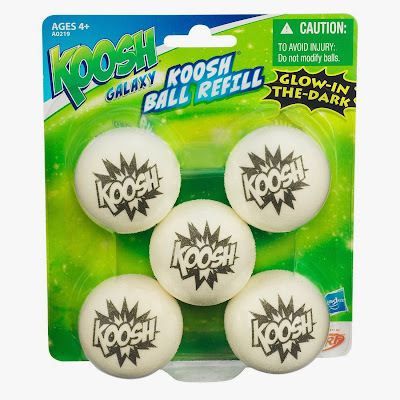 I totally lucked out and found these dense foam Koosh Balls in the clearance section of walmart. I tried a few arrow designs and ended up with two sizes I preferred ; A 12" dowel and 16" dowel. I also found that making a V shaped notch at the end held up better and was easier to cut than a typical slot. Before I cut I drew a line across the end so I knew where the center of my cut would be (line goes up). My set-up, shown above, made it quick and easy to cut a repeatable notch. I drilled out a little hole in the balls and hot glued them in. While playtesting, I found I liked the way they flew with stabilizers way more than without them. Without the stabilzers it seemed like the stick would start rotating around the ball while mid flight (since the ball is a lighter). I didn't like the way it flew or the potential for someone/something to get slapped with a stick upon impact. So I canned the idea of sticking the arrow through a hole in the bow, like I saw online (which would make it easy for a kid to load), and stuck with the traditional design with stabilizers. I used some craft foam and hot glue and finished up my arrow design. If there was one bright spot in this bow project, it was the arrows. They were easy enough to make, turned out awesome, and have held up great. I made two styles, beginner and intermediate. The blue ones don't require as much draw and you don't need to worry about the orientation of the stabilizers. The orange ones are for... me. I had so much fun play-testing, I even set up targets. I love the foam ball design too. They're still gonna sting if you get hit with them, but they won't dent walls or really hurt anyway. The have quite the bounce too. While play testing, I also found that I really didn't want much in the way of support for the arrows on the bow. If the support stuck out any further than the stabilizer the arrow would shoot off terribly. If there was too much padding, or your hand was too close to the arrow support they would shoot off sideways. It made me feel a little better about not buying one of the cheap ones on etsy. So I found the edge of a little lip was best (like on the connector) and using the 'T' on the connector wouldn't work at all. So I brought my prototype downstairs and started the long process of spray painting. This is when everything turned to crap. The spray paint was okay, but was still out-gassing heavily and started the paint started chipping off like crazy. So I decided to have Jon pick up more supplies while he was out the ay before Christmas and I'd make a new one. This time after cutting and drilling, I skipped the spray paint and went right for PVC cementing it together. I used a straight connector, just for that little lip to rest the arrow on. Much like when we decorated Eve's hoola hoop, I used brown fabric and modge podge to cover the pipe. I knew it would hold up well, since it has on Eve's hoola hoop. I hot glued some tan foam and plastic lacing for the grip and it looked sweet. I mean, really nice. I didn't take any pictures though. I strung it up, twanged it, and........ it snapped in two! It snapped on one side where the straight edge quickly transitioned from half-pipe to full pipe. So, I figured I'd be more careful and make a second one that angled more. This time I used a long piece, since had no connector (or desire to use PVC cement 30 minutes before we had to leave for my Mom's on Christmas Eve), and just used a piece of foam as a support. Then I used modge podge and fabric again and what I had left for tan foam and black lace. I strung it up again... and SNAP! This one broke too, but farther back. This was one of those "wtf" moments. Now late for my Mom's, I went back to the original spray painted one, the one I tested with originally, strung it up and shot a few arrows. I checked the edge of the groove and saw a hairline crack. Sure enough, I gave a few harder tugs and, of course, it broke too. I figured it would be better to find out now than after I put a grip on it, or worse, while Isaac was using it. So at this point, it was about 10PM, the night before Christmas. I hadn't seen my kids for about two days, I still had no gift for Isaac, and had tons more other 'Christmas' stuff to do. I drilled some holes in the little bit of PVC pipe that I had left and tried it uncut. It was way too inflexible and actually split the coupling it was in. If you're keeping track, that would be 4 failed attempts. So, I scoured my wood pile for anything that would work. While I had actually given up on PVC and was looking for wood, my eyes fell upon a 3/4" x 3/4" piece of scrap cellular PVC. It's the kind I trimmed my windows with (I haven't gotten to posting about that yet). I took no chances and tried to break the thing in half over knee. It didn't break or crack at all. I knew from working with this stuff that it was really flexible. I honestly should have thought of this stuff in the first place. I was immediately worried about how it well it will work in the summer though. Cellular PVC gets really soft in warm weather, so we'll have to be really careful with it when it gets hot out. So I drilled holes for the string, strung it up and tested it. It worked!! It worked well. I'm totally kicking myself at this point for wasting time and money when the solution was right there next to me the whole time. I really quickly hot glued fabric around it, skipping the modge-podge for now and planed on doing it after Christmas. I had used up the tan foam in the failed attemped, but dug up some gray foam. It doesn't look as good as the other versions, but it took me about 5 minutes and it was something. So, that was my crazy Christmas Eve. I'm happy we have a bow that works well, and a disappointed that first design failed so much. I sort of wonder if that's why I can't find that seller on etsy anymore either... I'm a little glad that I didn't cave on the cheaper ones, because this one works so well though. 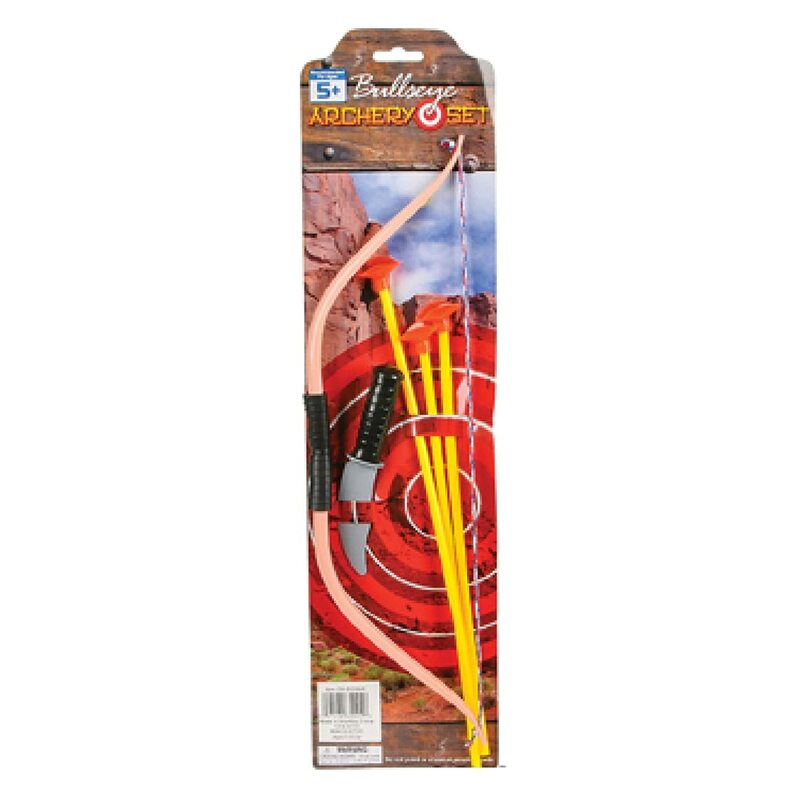 In retrospect, that I probably could have made the arrows and used a real bow like this Bear Youth Bow Set, which has just an 8 lb draw. I have to measure the draw on the I made still. To bring more 'joy' to the week, I got a stomach bug Christmas night and was out of commission until Saturday. :::Sad face::: I have suggested to my family that we have a gift free Christmas next year. Not joking either. On one hand, this year was extra stressed out because I had a funeral to attend just before Christmas, needed to shop and wrap gifts to our kids for other family members who couldn't, had a bunch of house stuff to do, as well as having to prepare for two kids birthdays right next to Christmas. I mean, our yearly gifts are already limited. We each only get three gifts, to imitate the original Christmas - a stocking (which has treats, practical items and few other small toys), a gift to encourage our walk with God, and a gift that we really want. It's not like our gifts are extravagant and gifts are one way to show love and care. On the other had, I get so stressed. Last year, even when I managed to get all of my kids gifts by December, I still had a ton of other shopping to do. I hate that I barely got to see my family because of gifts. We haven't gotten to do anything else that's Christmas-y in a bunch of years. Christmas caroling, volunteering, making cookies, seeing friends and family... even relaxing has gone by the wayside. Even when I take a week off from work. And I'm so strongly opposed to the commercialized version of Christmas. I want my (and my family's) Christmas to be about Christ, and not about fallible things like expectations, traditions or material goods. I guess we shall see what happens, but I'm hoping for a simple Christmas next year. In the meantime, at least this year we ended up really fun Boanne Yayo! After eight months of use, the last bow broke too :( Snapped right in half like the other ones. I don't really think PVC (even square, solid core, cellular PVC) is made for that kind of stress. The arrows are still holding up well though, so those are still highly recommended. Update here.